Summit View offers a killer combination of stylish comfort and cutting edge decor at a dizzying 2000m altitude and in an unbeatable on-piste location in La Plagne. The decor is tastefully sophisticated, with a boutique-hotel vibe thanks to the luxurious soft furnishings, original works of art, solid oak floors, recessed flat screens and BOSE audio systems. 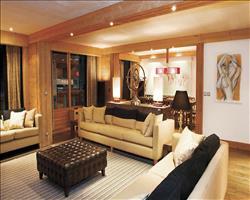 Como Suite sleeps 6-10 people in three bedrooms. Two of the three bedrooms have additional full size bunk beds for families or smaller groups wishing to share a room. Twin with en-suite bath, hand basin and WC. Bunk beds. Space for a cot. Twin with en-suite shower, hand basin and WC. Double with balcony, en-suite bath, hand basin and WC. Bunk beds (50% discount). Space for a cot. We update Summit View, Como Suite's details often, but facilities do change. e.g. some extras listed by the supplier as "free" or included might only be for the first time you use them, or for one time per party, then charged for further use. If any specific feature is essential to your holiday, make sure you ask us to confirm the details of it before you book your holiday. This package holiday to Summit View, Como Suite in La Plagne, France departs Sunday 19th April 2020, for a 7 night stay on a "catered chalet" board basis. A local tourist tax (Taxe de Sejour or Kurtaxe) is levied by many councils in European ski resorts. It varies by standard and type of accommodation and is age dependent, so not everyone is charged. It's not included in the basic price of your holiday and is usually paid locally. For reference, the average charged in winter 15/16 was between 50p and £2 per person, per night.
. 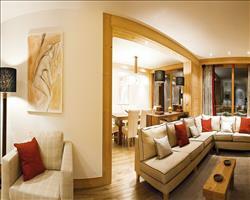 Ask for a quote when booking Summit View, Como Suite. Summit View, Luce... La Plagne France, Gatwick to Geneva 19th April. "Just As Good Second Time Around!" We have had a fantastic February ski break. Como Suite was just as cosy as we remembered. Our children are already "lobbying" to return next year. It was lovely to see Tina (Resort Manager) again and our Chalet Host Jono was our hero of the week. If you are reading this review Jono's Mum you should be really proud of him - he has been an absolute star. "La Plagne Summit View Como suite March 2014"
The experience was excellent, the chalet is in a very conveniently position overlooking the piste and very close to the main gondola giving access to the whole of la Plagne. 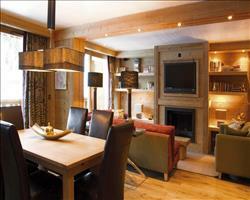 I was well looked after in a comfortable chalet the food was excellent and the host was welcoming and attentive. 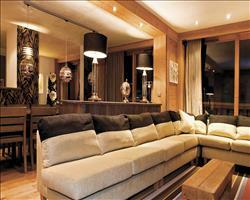 The chalet is ideally located. For adults it's ideal for ski lifts. For a 3 yr old boy it's perfect for rides in the bubble lift and watching piste bashers!! Our host, Jo, was fantastic. We asked to have the adult and child meals all at 6pm and she managed this every night - delicious, thank you. Our skiing holiday this year was the best we have had so far! We had a wonderful time. The standard of accommodation was excellent. Some constructive comments to make things even better - it would be useful to have a magnifying mirror in the bathroom. The food was extremely good but the canapes were not great - maybe it would be simpler to have just olives,nuts and crisps. Thank you for an excellent holiday.